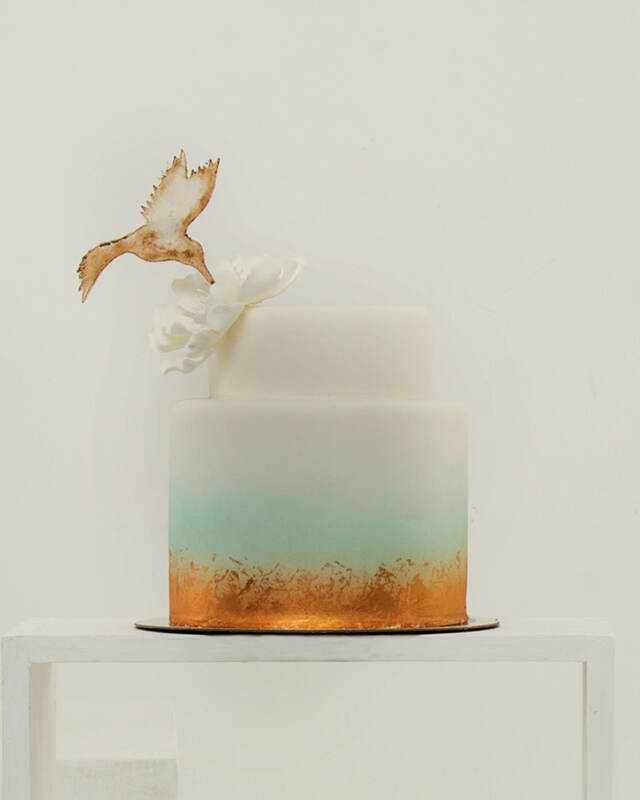 We got together with some of the best local bakers around to show you six of our favourite wedding cake trends to help you make sure that your wedding cake… takes the cake! 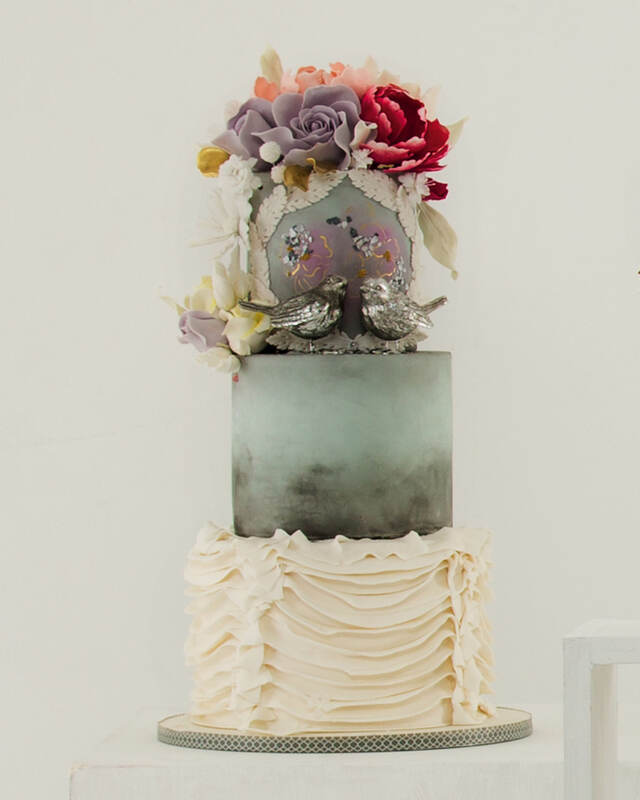 Metallic studs – like the ones we see on shoes and clothing on the runway – add dimension and texture to a cake. 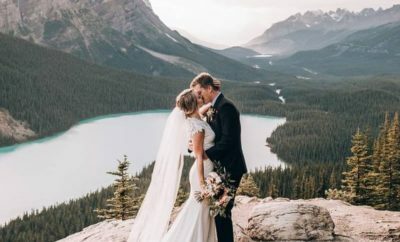 Ombre, especially metallic ombré, is still huge on the wedding scene. 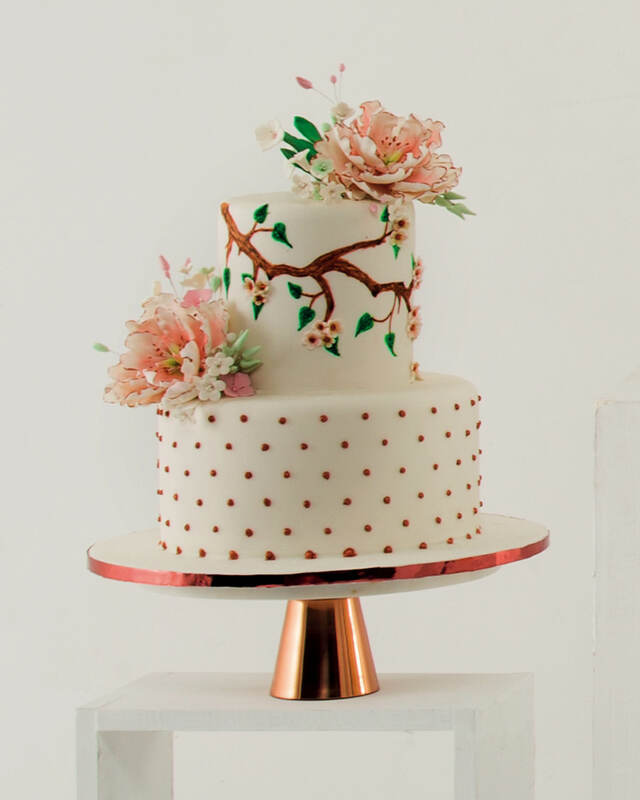 It’s beautiful in its simplicity and allows for interesting cake toppers. 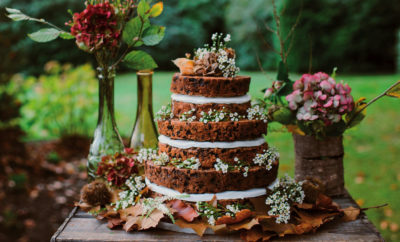 This season sees wedding cakes relieved of too many decorations and intricacies. 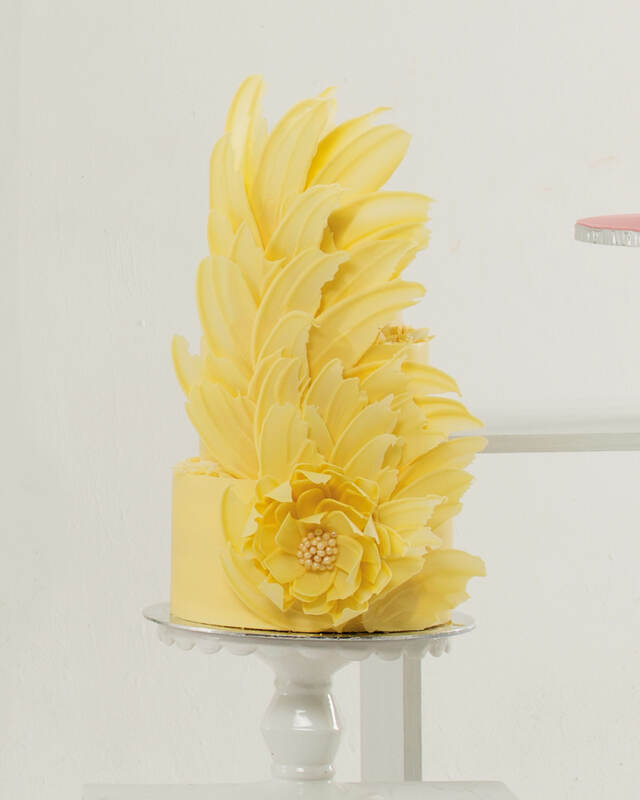 A move to simpler yet striking designs like monotone or two-tone cakes is the style of choice. Watercolours and pastels reinforce this idea of less is more. 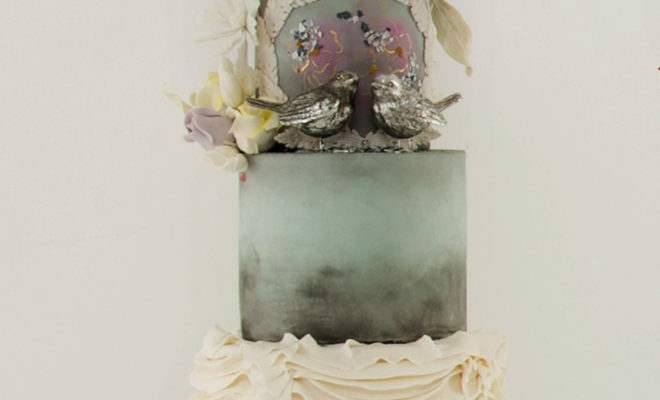 Think drama and flair with strokes painted in chocolate or fondant forming a beautiful portrait. Combine them with natural elements – another top choice – adding a flower or two for a softer, whimsical look. Marble hasn’t left just yet! Apply it interestingly by having a pink, green or even blue marbled tier. 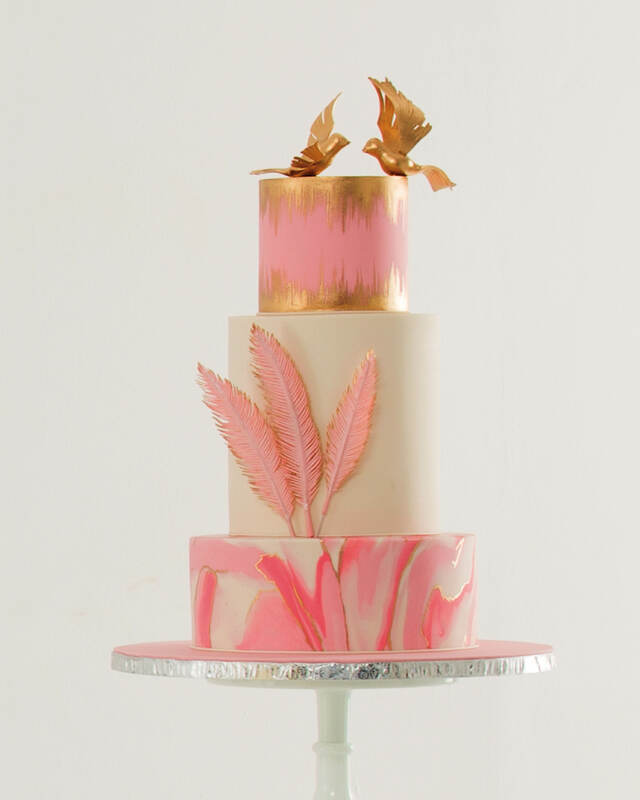 Add some metallic ombré or gold dust and have fun with the design! 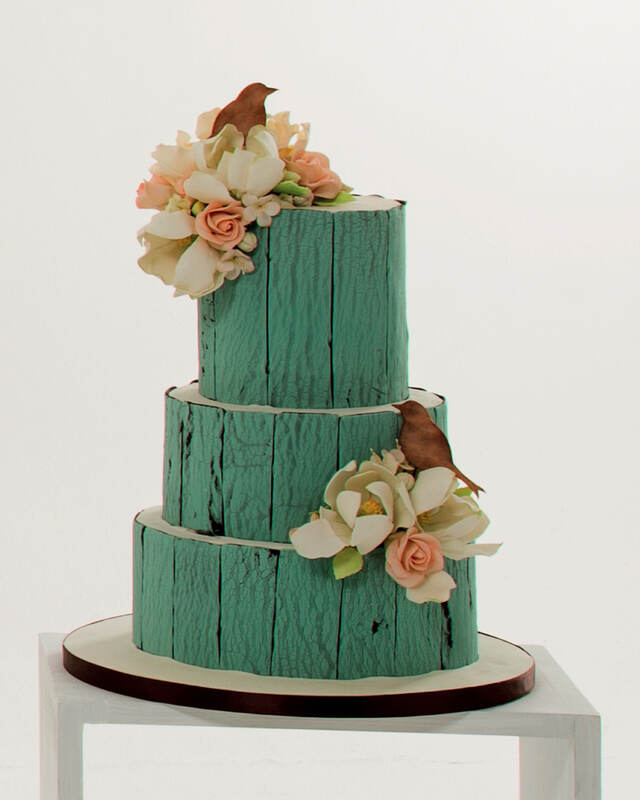 Along the theme of greenery and the environment, bakers are having fun playing around with different elements such as bark, birds, feathers and leaves (real or edible). These will take your cake from pretty to memorable.